Modern and practical side table in an unusual design. Extravagant in form, noble and captivating in design. Whether lying or standing. 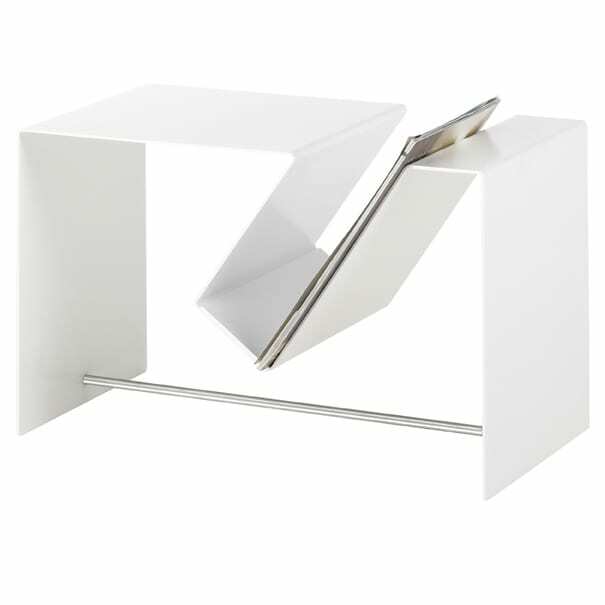 The unusual shape offers space for magazines and filing at the same time. No matter which variant you choose, the lobby quickly becomes a side piece of furniture that you no longer want to do without. Do you have a question about "Lobby"? How can we contact you?